Stop into the center to rent our new Junior Naturalist Backpack to help you explore outdoors at MDC. See what you can find using our science tools and go on your own scavenger hunt! Cost is $1 for up to 4 hours. 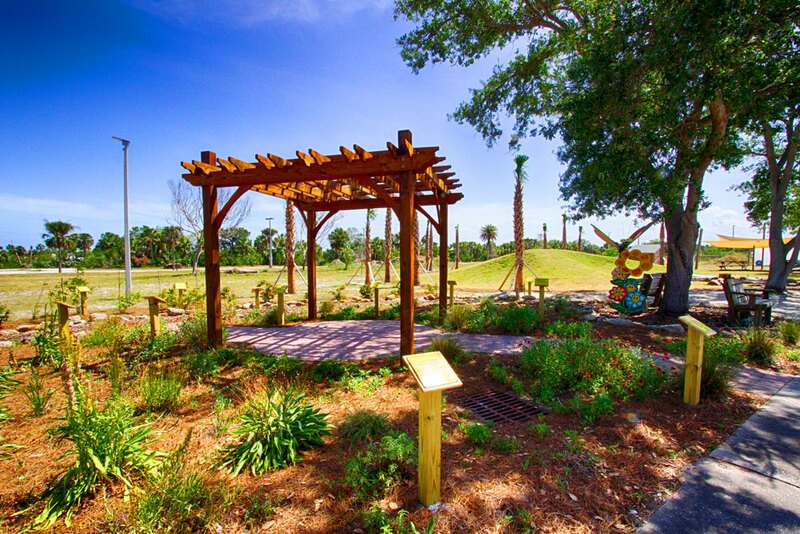 Explore the beautiful Butterfly Garden, built by the New Smyrna Beach Men’s Garden Club. This landscape features native plants to attract butterflies as well as a relaxing shaded seating area for you butterfly viewing. It also features a cedar pergola built by a local eagle scout! 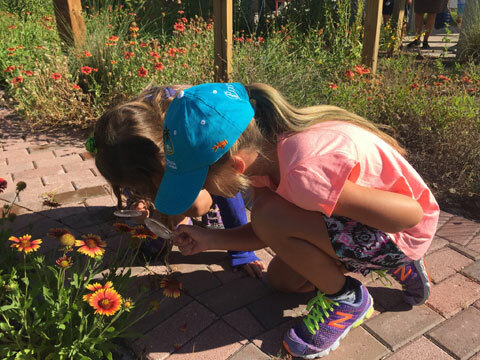 Our new Wildflower Garden, made possible by a grant from the Florida Wildflower Foundation, has pathways that wind through a variety of native fauna. 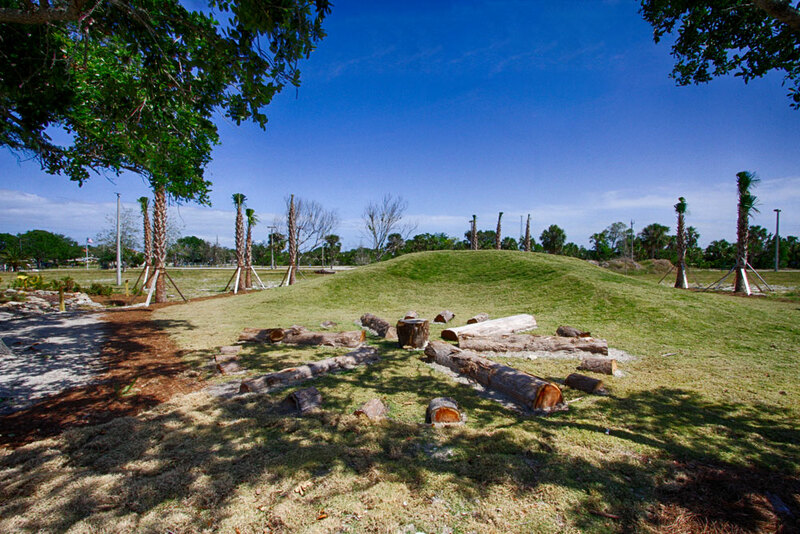 Our nature playscape offers kids and adults the perfect play area to explore nature. It is conveniently located near our outdoor seating areas so parents can watch their kids discover amazing while relaxing in the shade. More features are planned for the future! 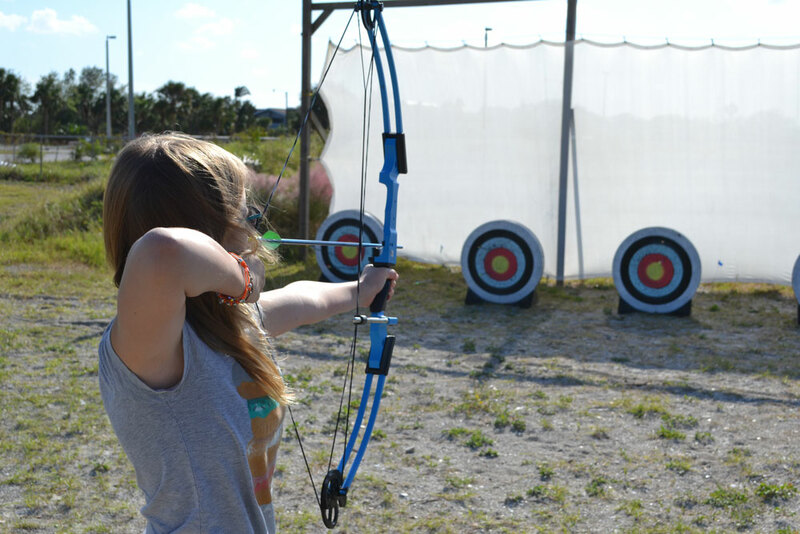 Brand new to the MDC property is Hunter Amphitheater! The amphitheater will play host to movie nights, lectures, concerts, and many other events and is the centerpiece for our annual Lagoonacy festival. Leave YOUR legacy at Hunter Amphitheater by buying a personalized brick! 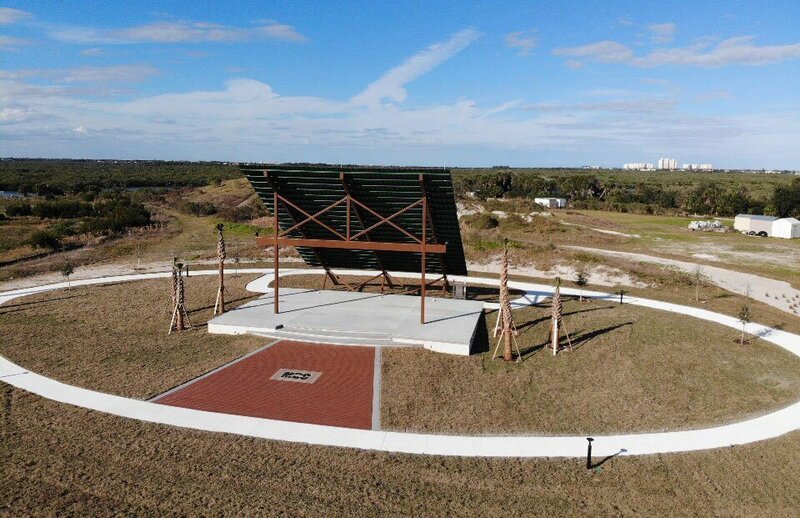 The amphitheater was completed as part of a Volusia County ECHO project at MDC. 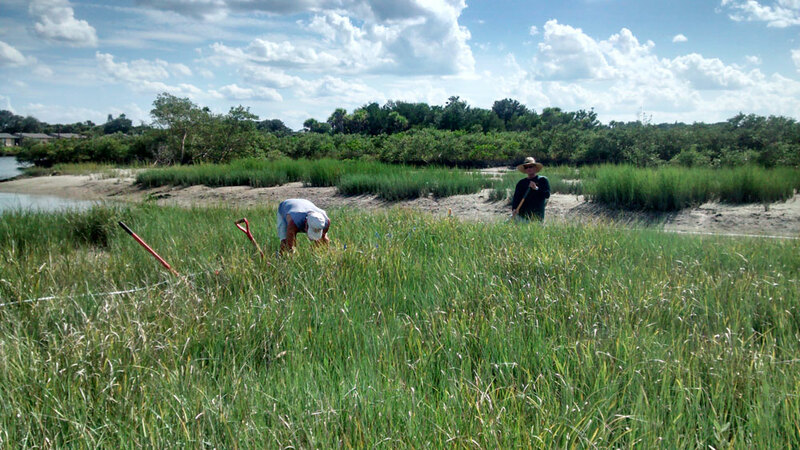 A 5-acre restored salt marsh on the Marine Discovery Center property features a nursery full of animals including birds, fish, invertebrates, mangroves, marsh grasses and much more. 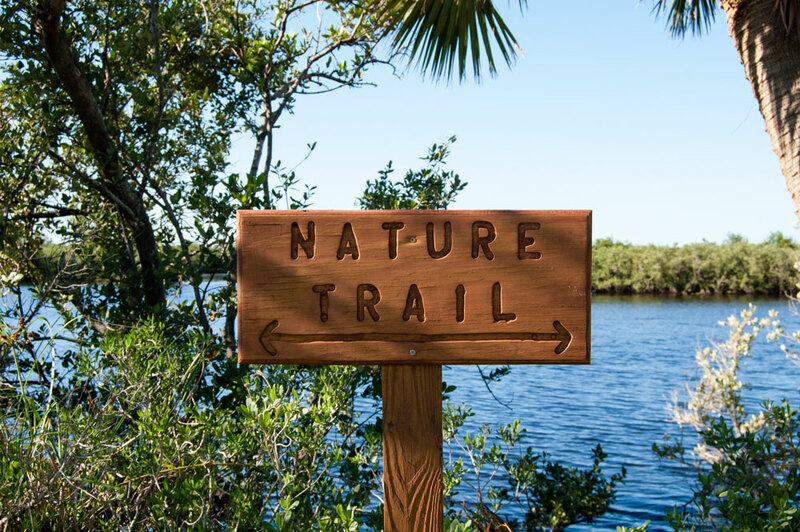 Explore the marsh and living shoreline demo area through walking trails and educational signs. This site is open to the public 24/7. 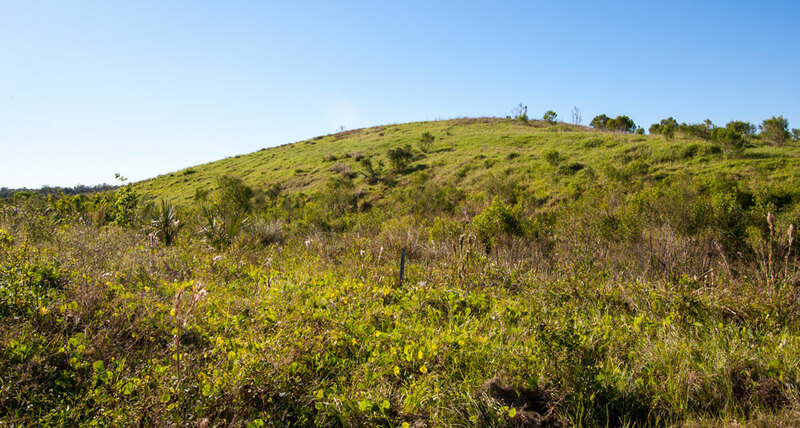 Continue along the walking path from the salt marsh up Mount Morgan for a wonderful view of New Smyrna Beach and beyond. Listen and look for all sorts of life coming from the surrounding marsh and mangrove forests. You can even spot the Ponce Inlet Lighthouse from the top! Recreational activities are permitted on the Marine Discovery property, such as fishing, kayaking, paddle boarding, cast netting, dog-walking etc. There is a public kayak launch and fishing site located on the east perimeter of the property. Please follow all signs and posts while using the MDC property for recreational activities.